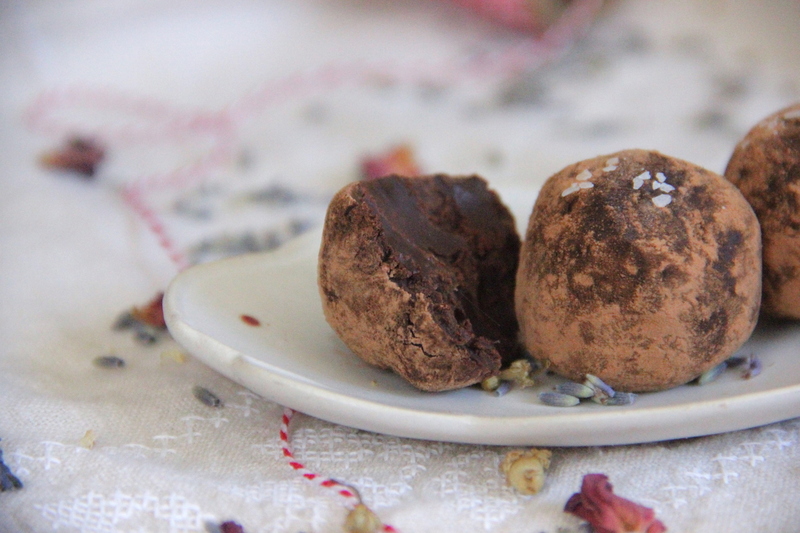 Despite my fears of confectionary-making, I have found that chocolate truffles are really quite easy to make. They aren’t as subjective to temperature issues when making and don’t require many ingredients. I’ve been playing with lots of herbs lately however lavender has always held a distinct interest of mine with regards to infusing it into desserts and drinks. It is soothing, with a light, unobtrusive scent and flavor. 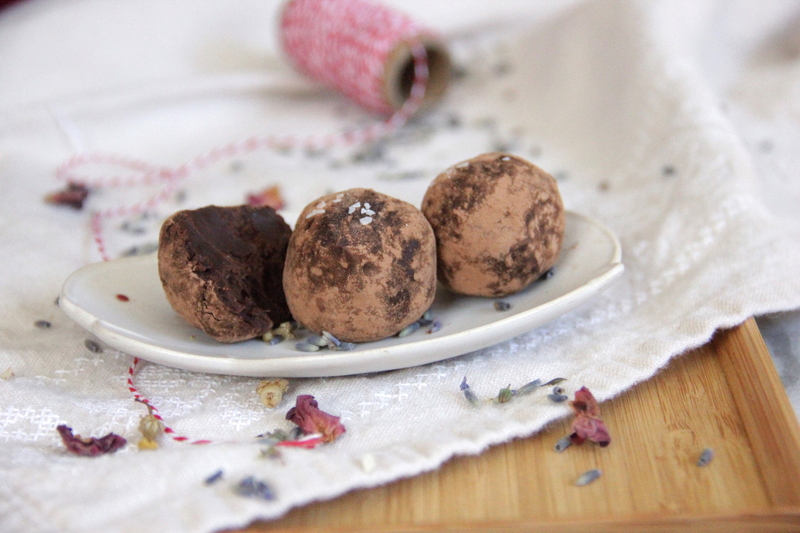 In this recipe it blends nicely in with the chocolate, adding an extra depth to these easy to make, dark chocolate truffles. Begin by roughly chopping the two types of chocolate into chunks and placing them into a bowl. Set aside. In a small saucepan on medium-low heat, begin heating the cream. As it starts to warm up, whisk in the sugar until it dissolves. When the cream begins to simmer slightly, stir in the lavender, turn off the heat, cover the saucepan and set aside. For melting the chocolate either use a double boiler (water boiling in the bottom pot and the chocolate melting in the top pot), or boil water in a small pot with a glass or ceramic bowl on top. Place the chocolate separately on top of the boiling water and stir until it has melted. Once the chocolate has melted, remove it from the heat, strain the lavender out of the cream and whisk it into the chocolate. Pour the chocolate into a bowl and allow it to cool in the fridge for several hours. 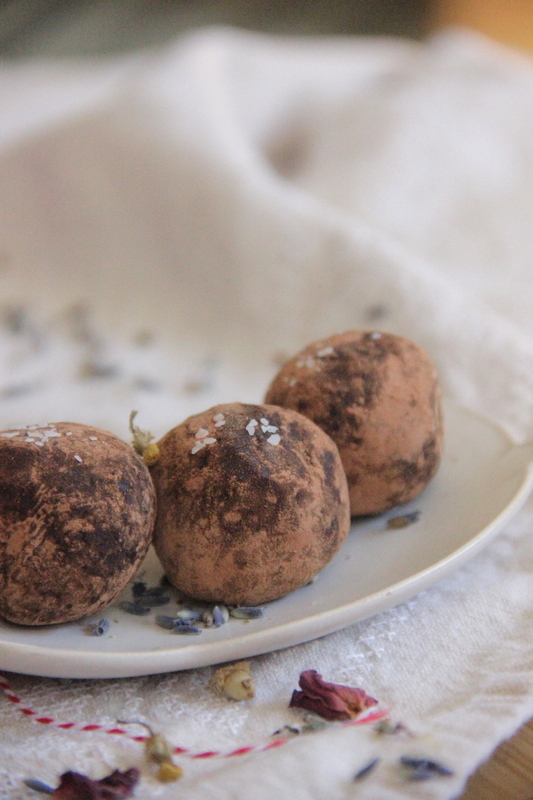 Once the chocolate has cooled and firmed up, use a small melon baller or a tablespoon measure to scoop out the truffles and, using your hands, roll quickly into round balls (try not to hold them too long as they’ll start to melt from the heat of your hands). 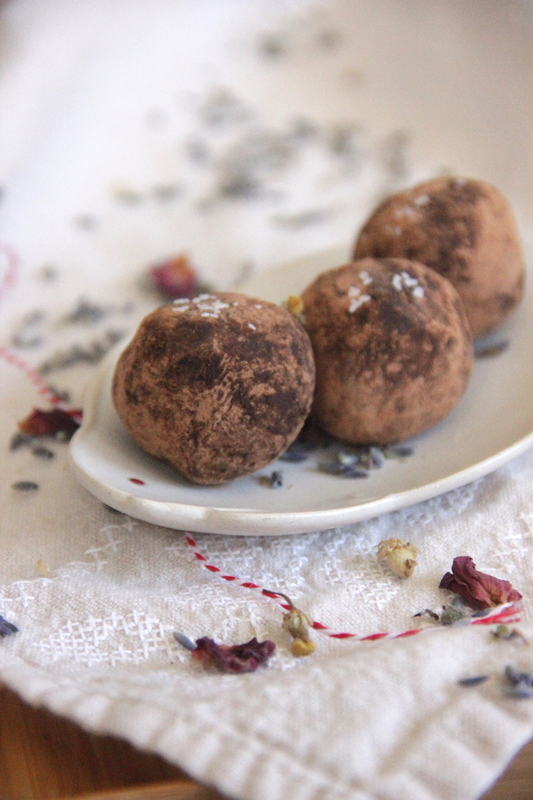 Pour some cacao into a small bowl and toss the truffles to coat. Sprinkle some sea salt on top of each and serve, or refrigerate until you are ready to enjoy! That sounds so tasty. I’ve never cooked with lavender before. 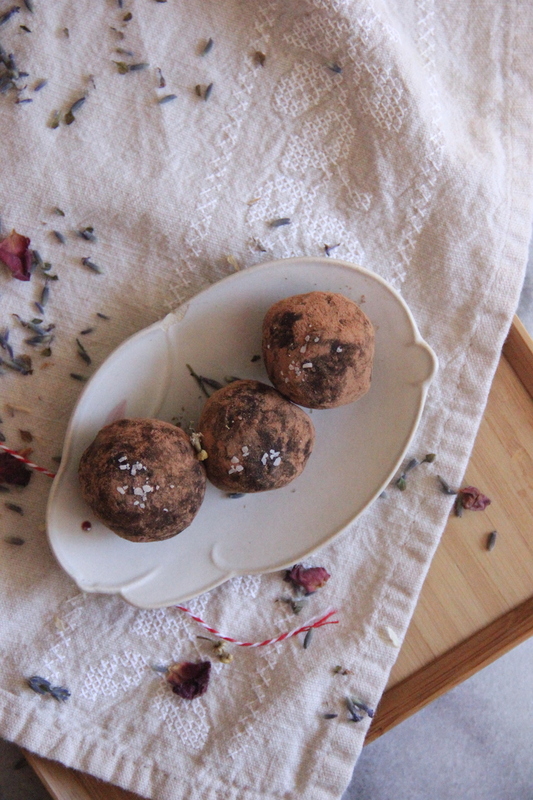 I love lavender and with doing this I found it was really easy to infuse the flavor in! These look insanely good! And you make them sound pretty doable for a baking novice like me! I promise it’s not too hard! Is there a way to make this without the heavy cream?